Hello everyone! I hope you have had a fantastic week. I've been so busy with work and it has been super fun but super exhausting. 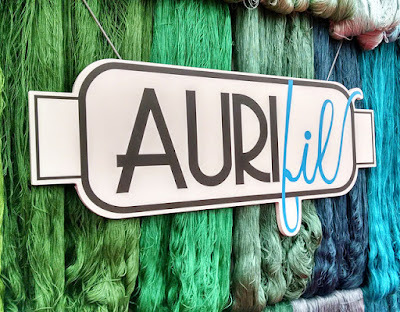 As some of you may know, I work for Aurifil Thread, and the past couple weekends were Quilt Market and Quilt Festival! I love these events because I get to see my co-workers in person rather than just via Skype. It was a ton of fun, but boy am I tired after so many days of being out of the house and on my feet! Sammy and I have been catching up on all of our sleep and have been taking it easy at home. I can't wait to see all of the pretty things you have been working on! I'm envious that you are right there in the Houston area and able to attend! 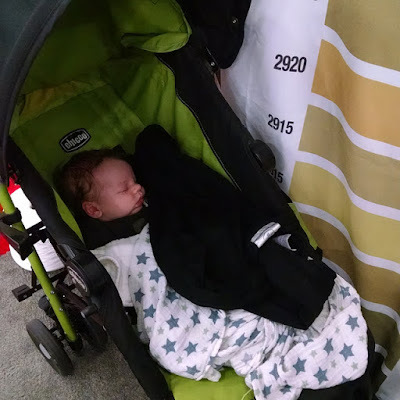 Your little one looks so sweet sleeping there! Rest up! Quilt markets always look like so much fun! Which I bet you had and wouldn't have missed for anything!